LATEST UPDATE: Typhoon Yolanda (Haiyan) has already made landfall in Guiuan, Eastern Samar early morning today, Nov. 8, 2013, according to PAGASA. 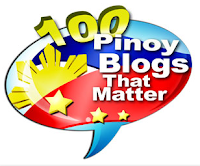 Eastern Samar, Samar, Leyte, Southern Leyte, Biliran Province, Bantayan Island, Northern Cebu, Cebu City, Camotes Island, Northern Negros Occidental, Capiz, Aklan, Antique, Iloilo and Guimaras). Signal No. 3 in the rest of Sorsogon, Burias Island, Albay, Marinduque, Occidental Mindoro, Oriental Mindoro, Calamian Group of Islands, Rest of Negros Occidental, Negros Oriental, Rest of Cebu and Bohol. Metro Manila is now under Signal #2, as well as Catanduanes, Camarines Sur, Southern Quezon, Laguna, Batangas, Rizal, Cavite, Bataan, Lubang Islands, Northern Palawan, Puerto Princesa and Siquijor. Signal #1 declared for Camarines Norte, Rest of Quezon, Polilio Islands, Bulacan, Pampanga and Zambales. PREVIOUS UPDATE: Based on PAGASA's latest weather update for Typhoon Yolanda issued at 11PM Thursday, it now has a maximum sustained winds of 225 kph near the center (290 km East Southeast of Guiuan, Eastern Samar) and gustiness of up to 260 kph. Previously, as of 4PM, Yolanda had a maximum sustained winds of 215 kph near the center and gustiness of up to 250 kph. Typhoon Yolanda is being regarded as a super typhoon. 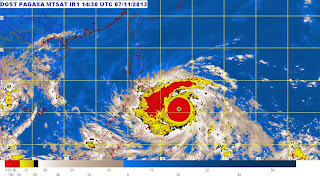 International news reports have considered Yolanda as the strongest typhoon in the world for 2013. Be ready everyone. Preparedness is the key to keep safe. It's best to just stay at home and pray for the safety of your family and others as well.